Emerson "Pioneer." Price does not include S&H. 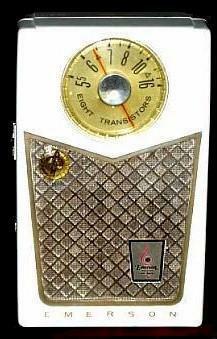 This is really the lowest price for this radio, they list in the old transistor books for almost double! You are visitor number 3,920 to this page.